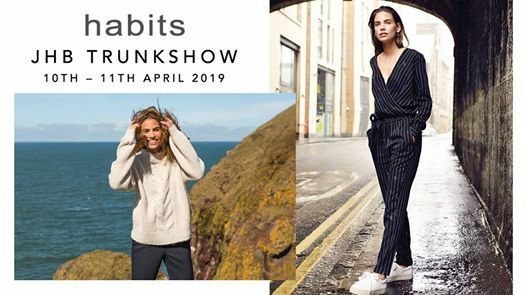 The time has come for the Habits Team to pack their bags and head to Joburg for their AW’19 Trunk Show in April. Join us The Wanderers Club in Illovo, on Wednesday 10th April and Thursday 11th April for one and a half days only! There is NO entrance fee and NO age restriction, so bring along your friends to shop our winter collection. Our trunks will be filled with loads new must-have pieces including Yaya, Caroline Sills, NYDJ denims and of course, our famous Travel Range which has just come back from showing in London, with new additions in the colour of the season – Merlot.